One of the highlights of this year has been my roommates. After living in a single last year, I am rooming with three of the loveliest, smartest and most inspiring people I have had the opportunity to know at Princeton. Our room has become one of my favorite places to be, home to the best of friends and the most delightful of conversations. While I have a lot of fun with my roommates at "home," I was curious to know what my roommates are up to when they were not in our dorm. 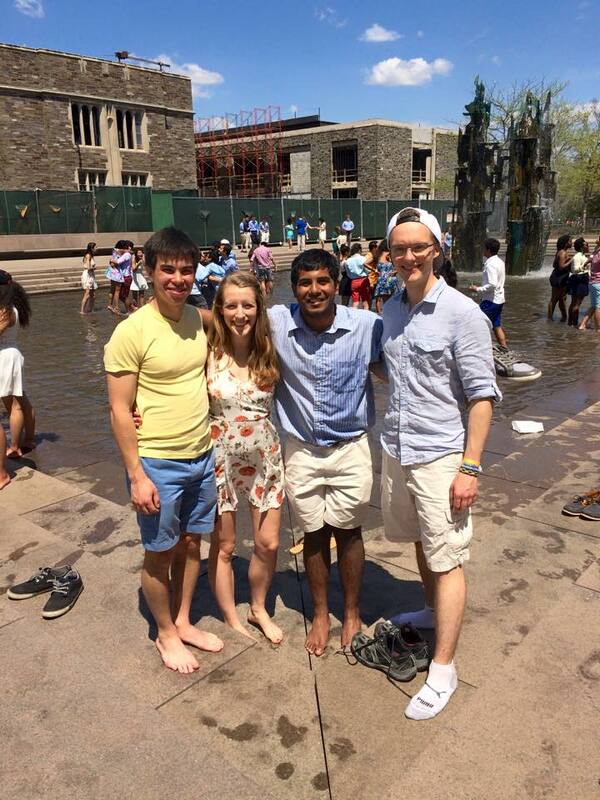 Thus, I visited each of them on campus in a space where they love to spend time--outside of our room. Kenny is a senior from Alaska, studying chemical and biological engineering. Kenny is a pre-med student, but is also interested in drug development, having worked in pharmaceutical companies during the summers. Kenny has been a leader for Outdoor Action for three years, and he has led many camping trips all over the country! Kenny is also a master potter. In our room, we exclusively use mugs that Kenny made, among other ceramics that Kenny fabricated. 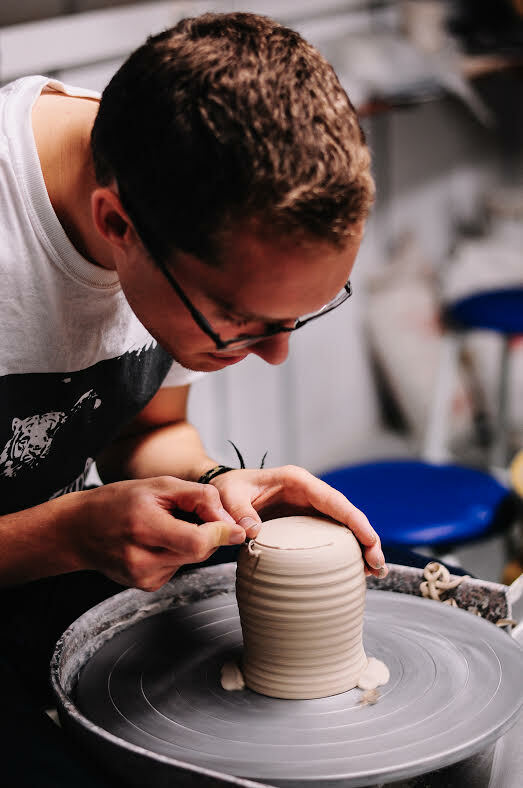 When anybody asks us where we got such wonderful mugs, we proudly declare that they are “Kenny Hubbell originals.” Kenny is also the manager of the ceramics studio on campus, which is free and open to all members of the community. If you head there on a Sunday, you can get a lesson on the art of ceramics — from molding to glazing — from the one and only Kenny. Neeta is a senior from New Jersey, studying Visual Arts. 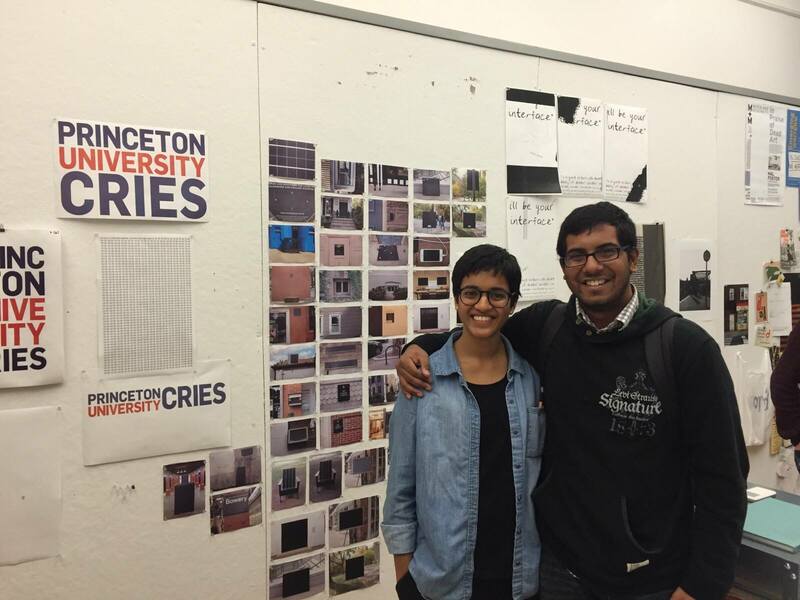 Neeta is interested in graphic design and has created many master pieces, which are on display all over the campus. She also designs books and album covers Neeta wakes up at 6 a.m. She has gone on a run, cleaned the room and got dressed, before any of the rest of us wake up. Neeta ran a marathon with Claire, my third roommate, last year in Philly, and she loves to go on long bike rides and runs around Princeton. Neeta is also interested in economics and computer science, often combining her art work with her abilities with computers. Neeta's art studio is filled with her own wonderful masterpieces. She once copied an entire novel by hand, and she has built some of her works around photocopies of this novel. She has a portable manual typewriter, which she uses for some of her works. Claire is a senior from Massachusetts, studying Geosciences. Claire is interested in understanding climate change: how it affects us and how we can prepare for many of the drastic changes we are going to witness. She also loves to run marathons (casually), having run one in Chicago, in addition to the race she ran with Neeta last year. She also ran the Sustainable Energy and Development Scholars (SEADS) program for Engineers without Borders, where she hosted many small group sessions to discuss sustainability with important and influential people in the industry. Over the summer, she studied nitrogen cycles in South America, and she recently even got the chance to present at the American Geophysical Union on her research. She often works in Guyot Hall, the home of the Geosciences Department, where she can devour plates of cookies in no time. It's a weakness she shares with me.